A ship has to land somewhere. 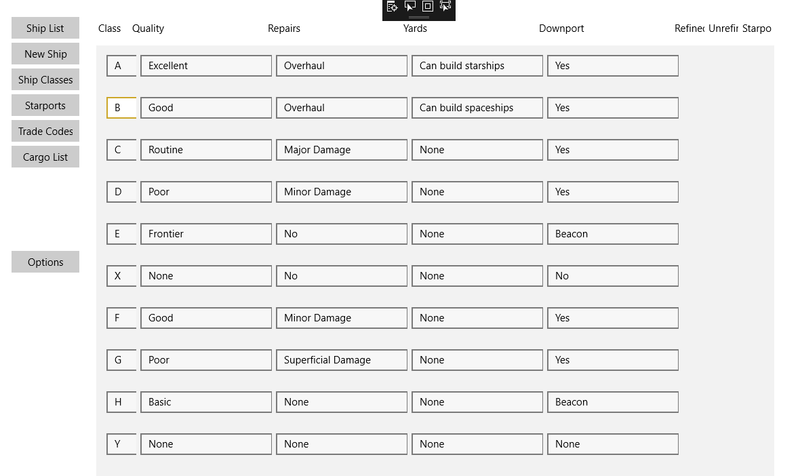 I've added the initial starport list. I need to figure out how to do check boxes for the Boolean fields, and add a save button for any changes you make. But now I can add additional info to the world info pages. And I can use that to determine the refined & unrefined fuel rather than hard-coding in the A & B ports and all that. Probably it for a while - this long weekend I had a lot of time to myself so I had a lot of time to work on this. During the week I've little time as family is more important.